Captivating Capri: A New Generation of Luxury Villas Attract The Rich & Famous. Luxury villas have populated Capri since the 1950s. But the new crop of luxury properties on the island are a far cry from sixty years ago. It’s ironic how the vast majority of exotic luxury tourist destinations throughout the world once were nothing more than modest fishing villages, agrarian communities, and isolated islands. As far back as Roman times, there have always been resort destinations for the ultra-rich and powerful. But these destinations come and go, and what ultimately seems to attract this new generation of luxury travellers is not just modern architecture, contemporary decor, and a bristling nightlife, but rather a mix of these things with a setting that is quaint, traditional, and features natural, untouched beauty. Perhaps this is why the Italian island of Capri has quickly become a luxury travel destination that rivals St. Tropez and Marbella. Like these other famous vacation spots, Capri is an old, humble settlement in the Mediterranean. In fact, people have been living on the island consistently since the Roman Empire. But it wasn’t until the 1950s that Capri because a place where people wanted to vacation in luxury. Since that time, Capri’s reputation as a haven for luxury, privacy, and exclusivity has continued to increase, attracting more and more upper-income luxury travelers year after year. For many years, the level of luxury found in the villa rentals on the island failed to match the expectations of the clientele, opting instead to stay in hotels as opposed to luxury villas. In 2010, however, we find a remarkably improved collection of luxury villas on Capri that offer amazing views, captivating properties, and the ultimate in comfort and luxury. The Villa Venere, for example, personifies the new crop of ultra-private luxury villa rentals that command an amazing view of the island. While the villa is only a few minutes from the center of town, Venere’s convenient locale is counterbalanced by an incredibly private, panoramic setting that offers incredible sea views overlooking the other islands of Capri. The grounds and outdoor facilities around Venere match its captivating views, with a natural, well-tended garden, pristine swimming pool, walkways, and terraces for outdoor enjoyment, all set against the brilliant alabaster façade of the villa’s traditional-meets-modern exterior. The interiors of this luxury villa are also worth noting, infusing a mix of modern and antique furniture throughout the roomy, comfortable living and dining areas. This approach of bringing guests of luxury villas in Capri out into the natural beauty of the island has even stretched beyond the island’s borders to the nearby Sorrento peninsula, where ferries regularly traffic vacationers from the Italian mainland. Here, we also find a new collection of distinctive luxury villas that offer amazing luxury, privacy, and communion with the enchanting Italian coastline. 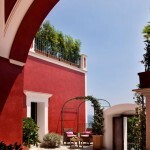 The Villa Terranova, for instance, is nestled of a picturesque wooded hill, overlooking the Gulf of Sorrento. Terranova offers luxury vacationers a virtual haven of luxury and comfort. Because the villa features a unique split-level design that blends seamlessly into the hill itself, enriching outdoor gardens and vistas blend seamlessly with indoor living. 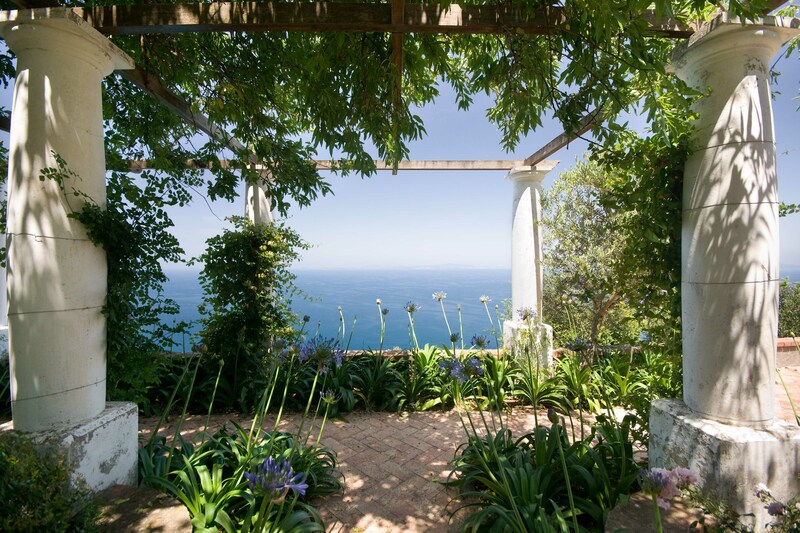 Outside, Terranova is surrounded by lush lawns, gardens, and terraces that overlook the sea. 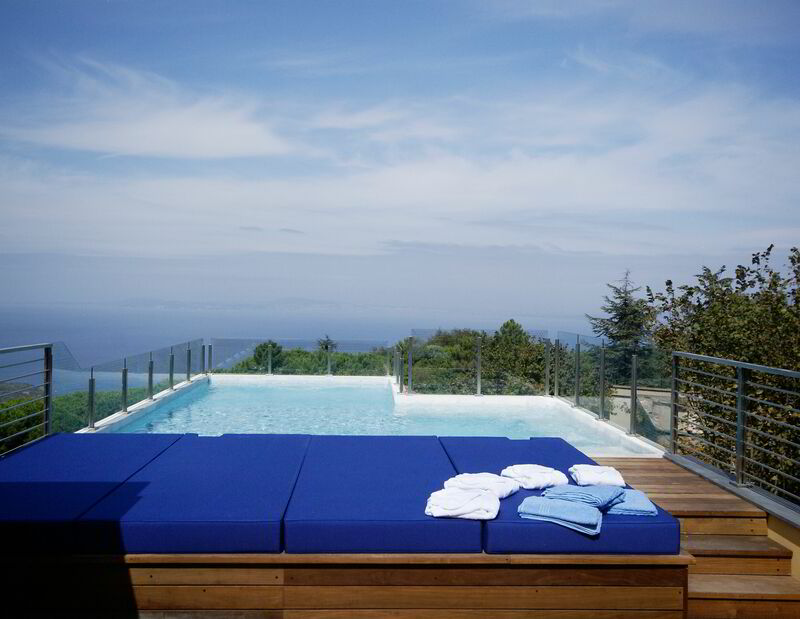 Most notably, a rooftop terrace features a unique swimming pool that allows guests to swim above a panoramic view of the region. 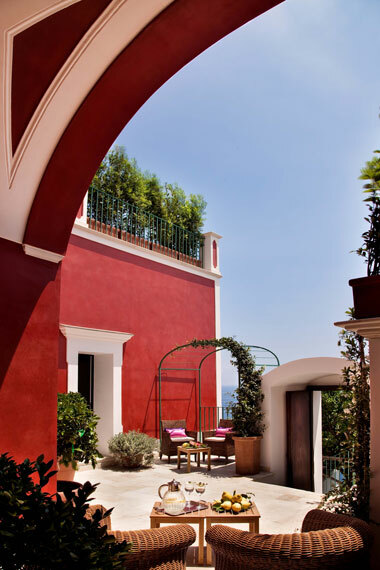 Together with a lounge area and barbeque, guests have access to a space that is perfect for lounging, dining, or sunbathing amidst one of the most enriching vistas in Sorrento. True to form, the interiors of Terranova are equally as unique, featuring a unified modern décor and furniture throughout, as well as provocative lighting, sun-lit windows, and French doors. 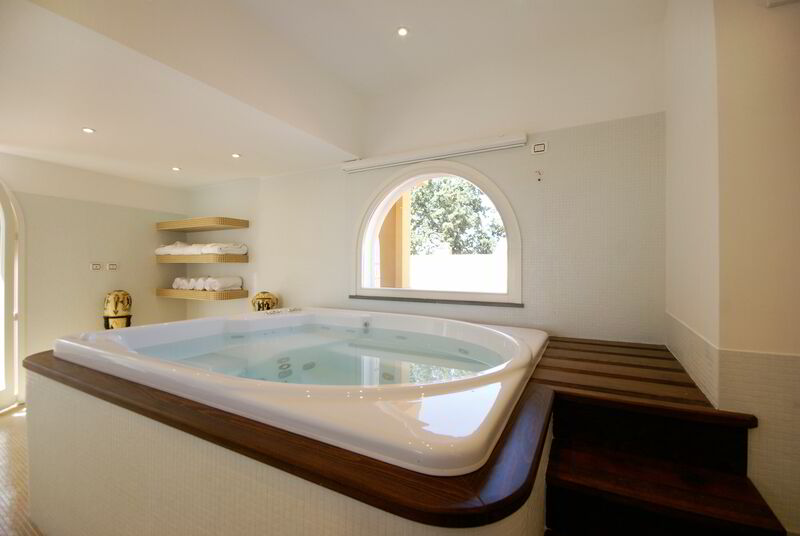 A full-function spa, complete with large Jacuzzi, Turkish bath, and shower, complete Terranova’s vision of luxury and comfort. everything that the luxury traveler is looking for in an exclusive vacation destination. You are currently browsing the Luxury Home Rentals in Miami, Aspen & St. Tropez – Villazzo blog archives for May, 2010.